EVERY FIRST SATURDAY AT 9:30 am — JOIN US FOR OUR MONTHLY TOWN CENTER CLEANUP!! 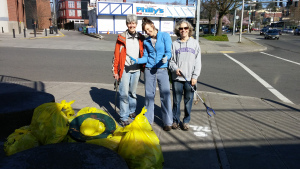 One of our Saturday cleanup groups, having fun and making a difference! Please join us every first Saturday of the month for our First Saturday Neighborhood Cleanup! We meet at 9:30 am at Mount Baker Neighborhood Center for the Arts, in the ArtSpace building by Mount Baker Link Station. This is a fun opportunity to meet your neighbors, and make a difference cleaning local streets, including the area around the Mount Baker Town Center and volunteers will be able to choose where they want to focus their efforts. We will hand out supplies, provided by the city, at 9:30AM at Mount Baker Neighborhood Center for the Arts adjacent to the Mt. Baker Light Link Station. We will also be working with the City of Seattle Adopt A Street program to make sure that the bags we fill, will be picked up in a timely manner. 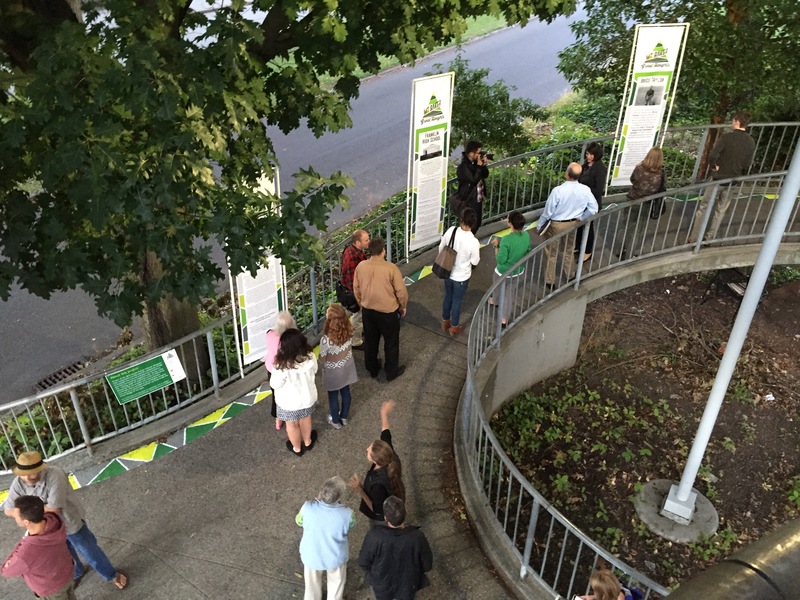 A great chance to check out our informative design installation on the pedestrian bridge! parks, please help clean up our neighborhood. Volunteers have been participating in monthly cleanups since January, but unfortunately this is an ongoing issue and we need your help. This is a simple and direct way to make a difference in our neighborhood and if you bring your kids, it is a great way to teach them about civic responsibility. High school students can also earn community service hours! We will meet, rain or shine, at 9:30 AM.